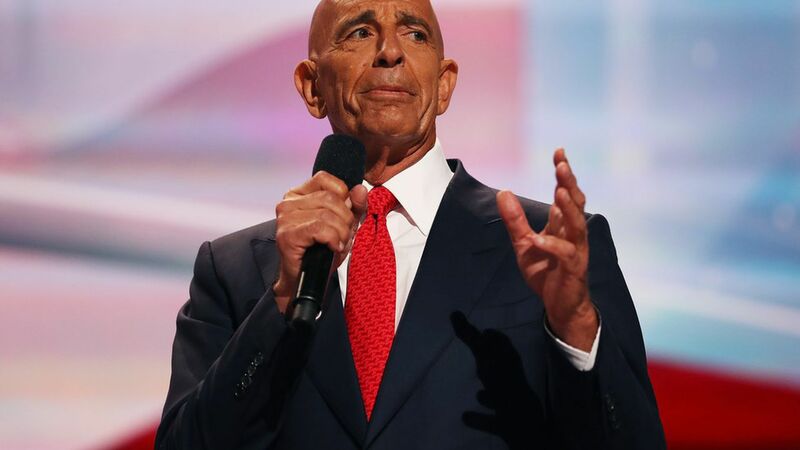 Colony Capital CEO and Tom Barrack probably can't wait for October to end, after a month in which he has been at least tangentially involved in both the nation's largest cultural scandal and its largest political scandal. Weinstein: Colony Capital initially agreed to bail out the embattled Weinstein Co., without fully appreciating the legal liabilities and other complexities created by Harvey Weinstein's despicable actions. The deal — born of Barrack's past business dealings with the Weinstein brothers — soon collapsed. Manafort/Gates: Barrack is credited with introducing President Trump to Paul Manafort, and for recommending that he be hired as campaign manager. Colony also hired Manafort deputy Rick Gates as a consultant back in March, but fired him yesterday after both Manafort and Gates were indicted for conspiring against the U.S. (among other charges). Kicker: Barrack was interviewed in October by the Washington Post, which garnered headlines for his statement that longtime pal Trump was "better than this."